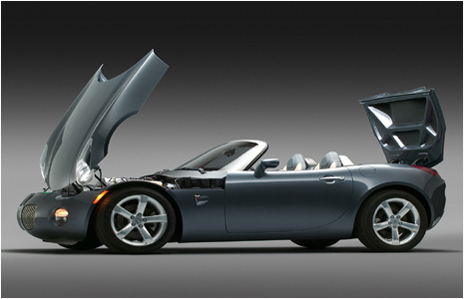 The 2006 Pontiac Solstice, a "back to basics" roadster for under $22,000. Yes, under $22,000 for a hard top convertible that looks HOT! 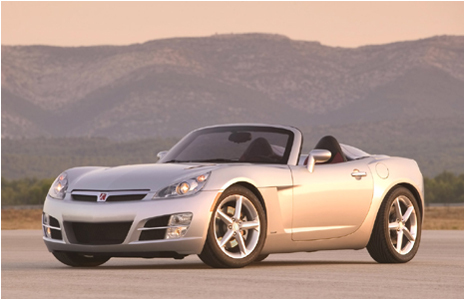 The 2006 Pontiac Solstice promises to be a thrilling, open-air driving freedom roadster in the spirit of the great roadsters of the past. Coming Summer 2005 to a dealer near you. Now those are two ...2... words I would have never thought would be in the same sentence, Saturn & Roadster. This is not your grandmother's Saturn anymore. I'm speechless! Check it out! New York Auto Show. At first sight of the Jeep Hurricane, I thought I was 10 years old again. Men (boys), you know what I am talking about: the metal yellow TONKA (no longer made, now plastic) that you pushed from room to room on your knees, through the dirt and back. God I miss those days. 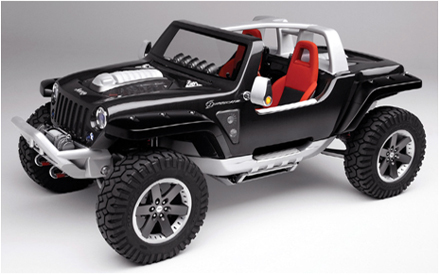 For the "big boys" who like really "big toys," this Jeep will make you feel like a kid again. "Jeep Hurricane is simply the most maneuverable, most capable and most powerful 4x4 ever built," said Trevor Creed, Senior Vice President at Chrysler Group Design ... Bold statement, don't you think? New York Auto Show. Here Kitty, Kitty! Here Kitty, Kitty ... That's all I have to say about the 2005 Jaguar Advanced Lightweight. For those who know me, I have only one use for that type of cat. Drive it hard and drive it fast. This car can take it! 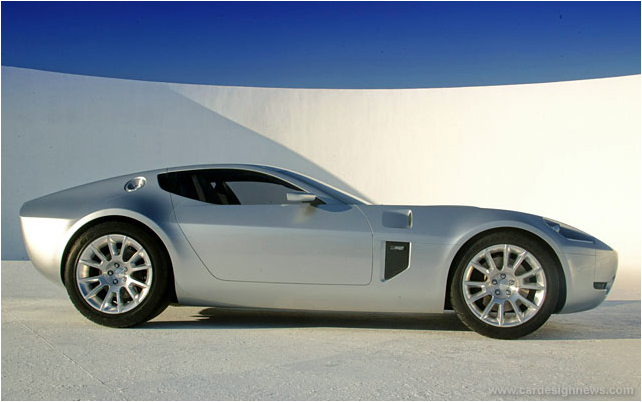 Hardware includes a supercharged 4.2-liter V8 engine that can get the relatively scrawny Advanced Lightweight Coupe Concept to 60 mph in less than five seconds on the way to a top speed cresting 180 mph. Inside, the design theme is "clean, simple, and straightforward." Way to go Jaguar ... for more: New York Auto Show. WANNA GET WET ... & never leave your car? The Water Car as seen on ABC's The Bachelor. There's an underground world of amphibious cars that most of us will never know about. 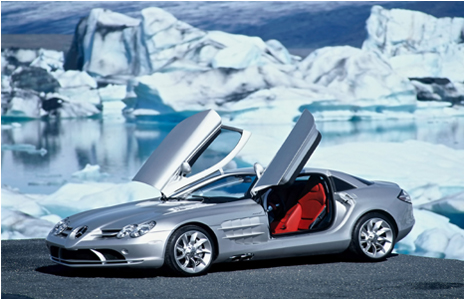 The makers of these vehicles are usually so secretive that they might as well be making submarines.